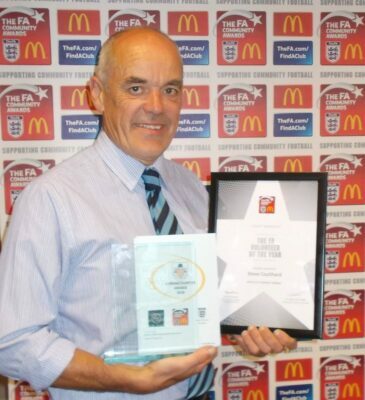 Congratulations to Club Director Steve Coulthard who is Chairman of St Mary’s Juniors who last night was awarded with the County Winner – ‘Volunteer of the Year Award 2016’ of the FA Community Awards. 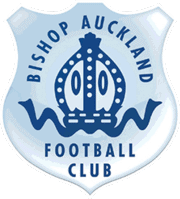 Steve, who received his reward last night at a ceremony at the Durham County Cricket Ground, has been involved with Bishop Auckland St Mary’s Juniors, one of the region’s most successful community football groups, for 18 years being Chairman for the last 3 years. Chairman Nick Postma said ‘This is a great honour for Steve and St Mary’s and recognises the commitment and time that Steve dedicates to the young people in our area’. The Club is strengthening its links with St Mary’s and this season our supporters will see more of the St Mary’s players at Heritage Park where they will be mascots and ball boys/girls. « Help Sean Tarling raise funds in memory of Mason!